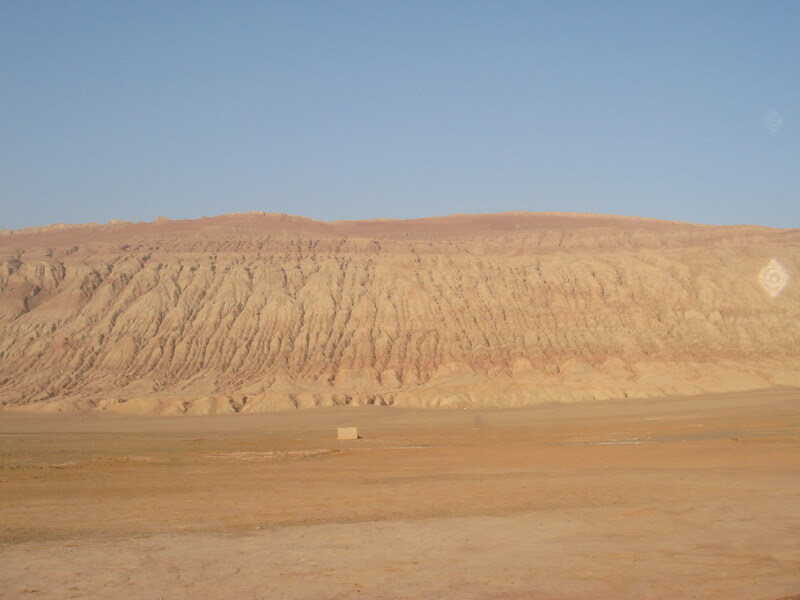 Located in the middle of the Turfan Depress ion, the Flaming Mountain is also named Red Mountain. 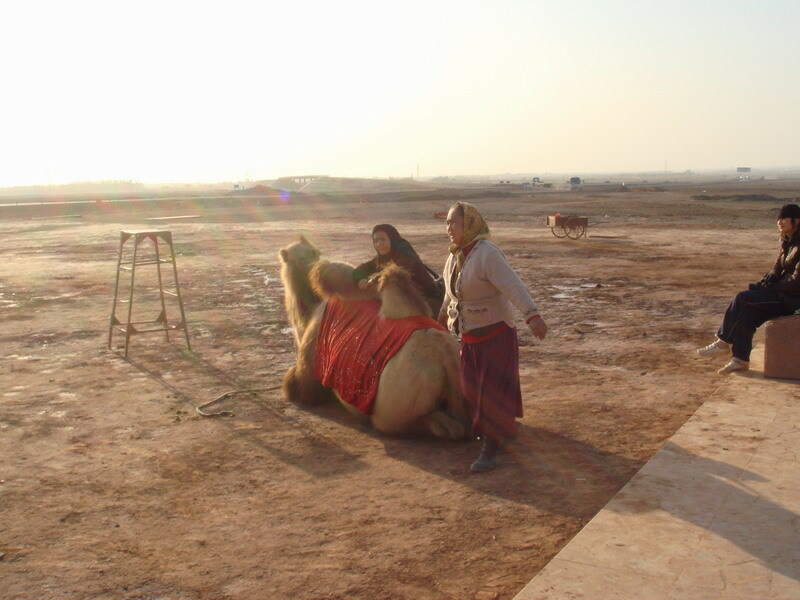 It is made up of verrucano with a total length of 98 kilometers and width of nine kilometers, like a huge red dragon. It is the hottest place in China, whose temperature can reach 47.8 degree centigrade and its temperature of the earth can get to 70 degree centigrade during summer. During the summer, the russet mountain is irradiated by the hot sun, sandstones shining and hot air rising, like flaming fires. Therefore, this mountain got its name as “Flaming Mountain”. The altitude of the mountain is about 500 meters, with the 831.7-meter peak as the highest part. 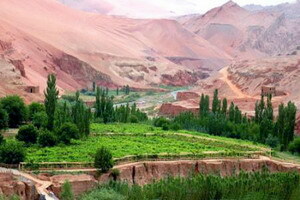 As the movements of crustal faults and water cutting, many valleys are formed, such as Peach Valley, Wood Valley, Tuyu Valley, where is cold and green with flowing rivers and fragrant fruits. The famous Grape Valley is one of them. 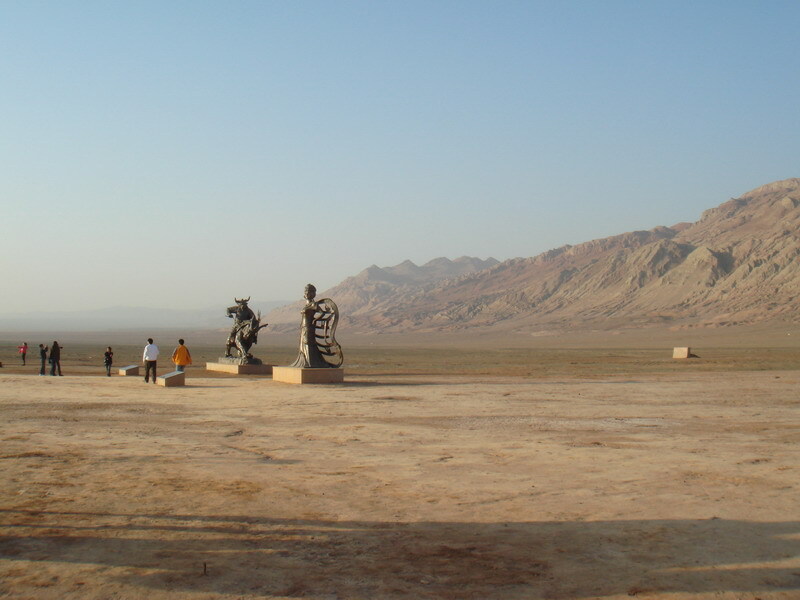 The Flaming Mountain has its unique natural features. 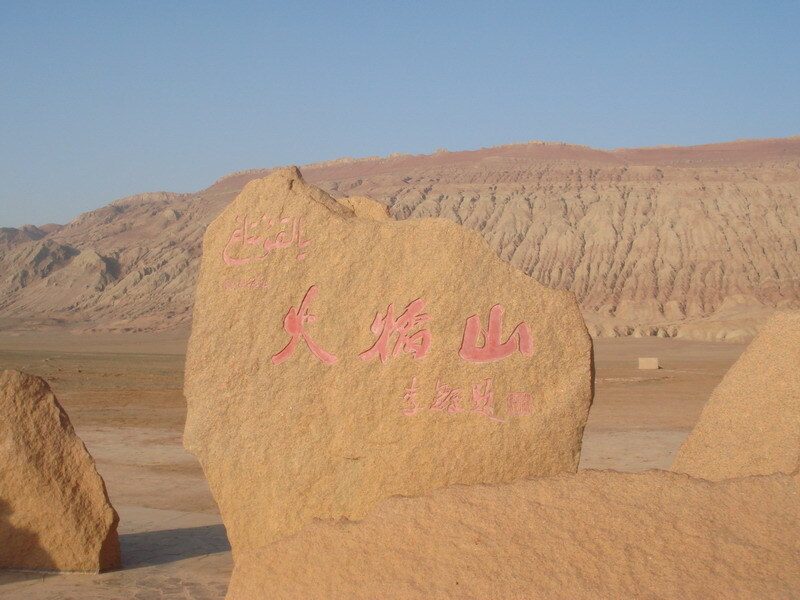 Besides, Wu Cheng’en in the late Ming Dynasty wrote it into the classical novel “Journey to the West” and connected it with Xuanzang, Son Goku, Princess Iron Fan and Qx King, making the Flaming Mountain extremely mysterious.